Good basic work conditions are part of the law of every country. Every country has the same basic considerations and requirements for legally accepted conditions that are fair and expected for employees. 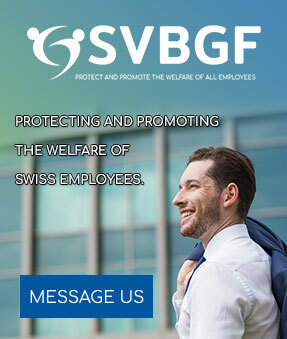 Every employee in Switzerland has the right to employment. They also have the right to be treated fairly and with respect. Let’s look at some of the characteristics that most employment laws requires. Fair treatment; No person may be discriminated against based on gender, race, religion, sexual orientation, or any other similar factor. If an applicant is qualified and seems to be the best person for the job, they should be hired; without discrimination because of non-job-related factors. A person’s qualifications and abilities are the only factors that should play a role in the choice of whether to employ or not. Respect; every employee has the right to be treated with respect. Slander, abuse, degradation, belittling, and other such things are not acceptable in the workplace. Any employee that is at the receiving end of such treatment may have the right to lay charges or open a disciplinary case. Respect is also one of the keys to having happy and productive employees. Reasonable hours; expecting to work reasonable hours is a basic factor for most employees. In the contract should be stipulated what the expected working hours are going be. When necessary it can be expected of employees to work overtime. This means extra hours than the work hours stipulated in a contract and should be compensated for. Sunday work or night work may be expected from an employee when circumstances ask for it. Again, there are labour laws and regulations that should be followed and the compensation for these hours also have a special formula to work out the amount payable per hour. However, if you work in an industry that works in shifts, or you work in a hospital, firehouse, police station, etc. your working hours will be different from a normal 9 to 5 job. Leave; in Switzerland, all employees are entitled to a minimum of at least four weeks leave per year. Younger employees, (till age 20), are entitled to have five weeks of leave per year. In Switzerland, there is only one federal holiday. Additional public holidays can vary and are designated from area to area, to a maximum of eight additional holidays. You will not be compensated for public holidays falling on a Saturday or Sunday. When a public holiday happens during your annual holiday, you should not enter that day as part of your holiday. The labour law does make provisions for personal events, for instance, pregnancy, marriage, moving home, death in the family, (for men – the birth of a child), and also for legal obligations (military service) etc. The amount of time is not set by law and should be stated by the employment regulations and rules of a company. Fair compensation; in Switzerland, there is no minimum wage. Salaries, however, are among the highest worldwide, but in Switzerland, you also work long hours for that salary. Salaries are negotiated before the commencement of a contract and then also stipulated in the said contract. All deductions, like, pension, UIF, health insurance, will also be included in the contract. In Switzerland, an employee can expect to be compensated once a month and at the end of the year receive a 13th payment. These factors are all things that should be taken into account before a contract between an Employer and Employee is signed. It will make future dealings with possible problems much easier.